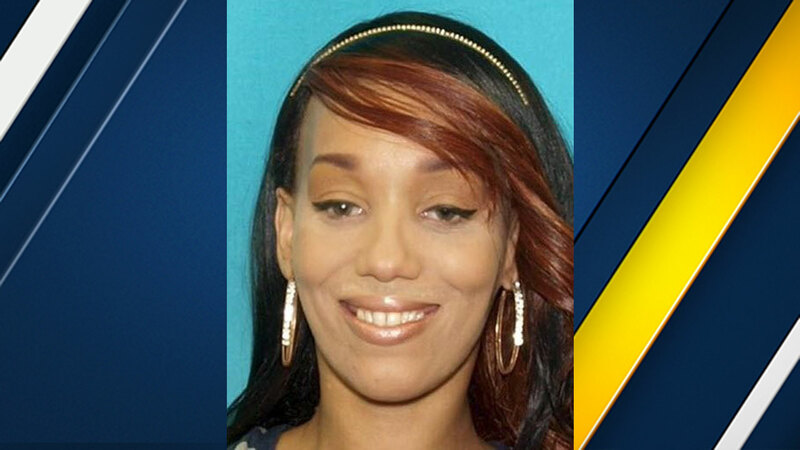 Kandice Johnson, 31, has been identified as the suspect in the Amber Alert abduction of a 16-year-old boy in Los Angeles on Thursday, July 6, 2017. An Amber Alert that was issued Thursday evening stemmed from an alleged carjacking in Los Angeles in which the armed suspect drove off while the victim's 16-year-old stepson was still inside the vehicle, authorities said Friday. Kandice Johnson, 31, is being sought in connection with the incident. According to the Los Angeles Police Department, Johnson allegedly approached a woman who was standing outside of a vehicle about 4 p.m. Thursday near 47th and Figueroa streets in South L.A. The suspect pointed a semiautomatic weapon at the victim and told her to step away, police said. "The woman told the officers that she wasn't sure if the suspect actually knew that there was a child in the car because the windows are tinted very dark on the back," said Detective Meghan Aguilar, an LAPD spokeswoman. "So we're still not sure what her intention was, although at this time we believe her intention was to steal the car and not kidnap the child that was in the vehicle." Eric Coleman was then abducted while sitting in the back seat of the black 2014 Toyota Camry. The sedan has California license plate No. 7XWL023. Coleman is described as an African-American male with black hair and brown eyes, standing 5 feet 8 inches tall and weighing 150 pounds. Authorities are looking for a 2014 black Toyota Camry, similar to this one, involved in an Amber Alert abduction in LA on Thursday, July 6, 2017. The CA license plate is 7XWL023. Johnson is described as an African-American woman with braided red, green and black hair. She is 5 feet 3 inches tall and weighs about 147 pounds. She should be considered armed and dangerous, police said. Anyone who sees the suspect or the missing boy is asked to call 911.